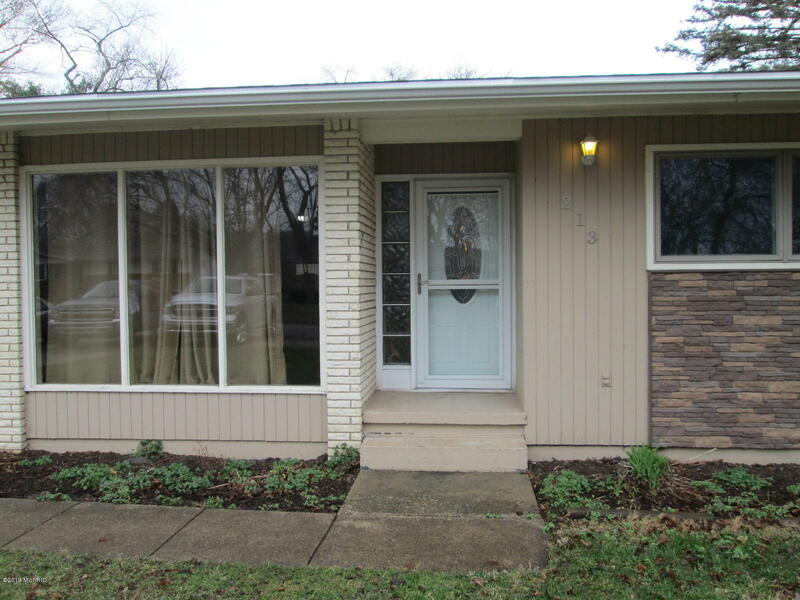 Move in ready main level living home, within 25 minutes to St. Joseph, South Bend, and Michigan City. Home has many updates and desirable features. Recent Whole kitchen with granite, ceramic/glass tile, stainless appliances, center island, and spacious dining area. Kitchen, living and dining areas flow and are very open. All newer exterior doors, A/C, baths w/tile & hard surface counters. Water softener & heater, garage door opener, rear deck, and roof 2016. Back yard entirely fenced with shed.Don't miss this opportunity to own this home at a great price!